Discussion in 'Completed Games' started by Marrend, Sep 29, 2014. Okiku, Star Apprentice is something of a departure for me. 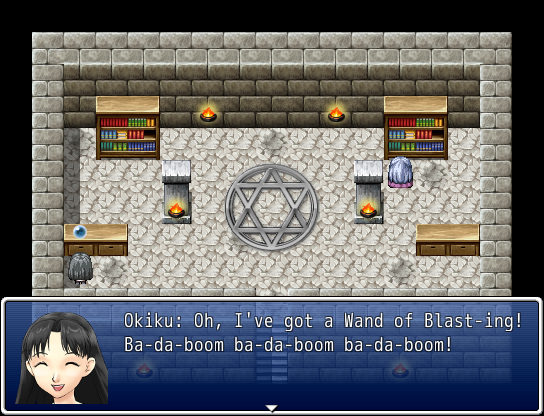 This game focuses on gameplay mechanics, most notibly the Wand of Blasting, and attempts to build a story around it. How well did I do? Play it and find out! Also, for a change of pace, the game's resources aren't all over the place! Outside of the faceset used for the title character (credit goes to Pink Elephant for the base material file), and the inclusion of songs from commercial games, pretty much everything else is pure VX Ace RTP! If any of this offends you, you'd best stay away from this game. 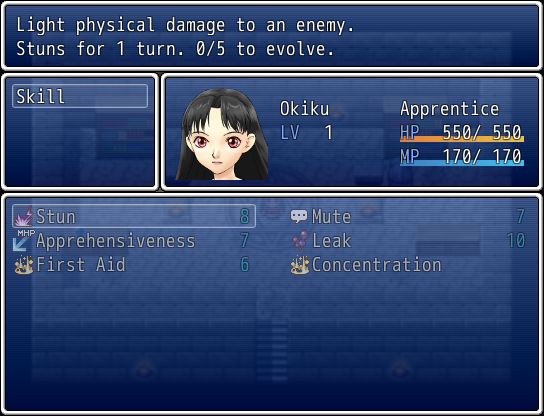 Okiku has SKILLS that EVOLVE! She has STATS too, but, meh. Totally NOT a reference to any other game I made. Oh, who am I trying to kid? -About 2-3 hours of gameplay! The "full version" (RTP included) via the RPG Maker Net download page. The "regular version" (RTP not included) via the RPG Maker Net download page. 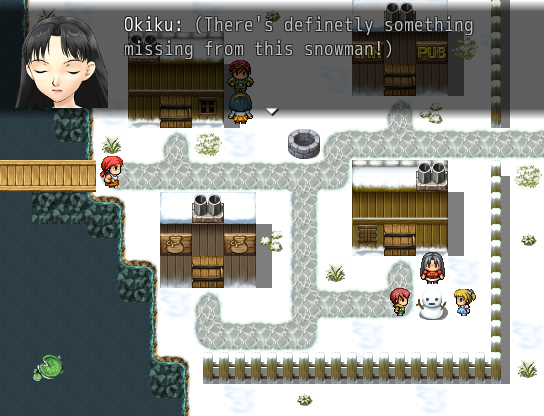 This game's gamepage on RPG Maker Net. Ha! I beat it in an hour! The gameplay is for the most part very basic RPG Maker stuff but I did enjoy your game nonetheless and played it all the way through to the end. Well done! ...I just wanted it to be a BLAST to play! Which seems to be your case! Which somehow reminds me, I want to put up the both the links for the "full" version and RTP-reliant one! Hey Marrend! I think I was in a slightly grumpy mood that day and maybe was a little harsh but I hope you do watch it in the end! I'm sure I liked some stuff too! Add me on twitter and follow my channel if you like, I play a lot of Rpg Maker games!